A Senate inquiry is underway into a Bill that amends the Environment Protection and Biodiversity Conservation Act 1999 to prevent the Commonwealth from handing responsibility for approving proposed actions that significantly impact matters protected under the EPBC Act to a State or Territory. Engineering Consultants: Arup have provided some interesting commentary on properly understanding resilience following on from natural disasters. The rationale: knowing if replacement infrastructure will be any more resilient than that which it replaces. David Singleton has been asking on twitter: "what do you think are the key planks of #resilientleadership?" If water and sewerage infrastructure is to be truly sustainable, one needs a way to understand what resilient infrastructure looks like. One also needs a way to compare infrastructure designs and systems to achieve the most resilient outcome. Sustainability ratings tools have the potential to do this. It is no longer enough to merely say that one is ‘building green’. Australian consumer law is clear on the obligations regarding environmental claims under the Competition and Consumer Act 2010. Manufacturers, suppliers, advertisers and others are required to assess the strength of any environmental claims. Claims have to be demonstrated and certified. Methods of measuring sustainability are vital. There is also a renaissance in driving sustainability up and down one’s supply chain. The Green Building Council of Australia’s Green Star environmental rating system for buildings and communities and the Australian Green Infrastructure Council’s IS rating scheme for infrastructure setting benchmarks. Ratings tools allow one to assess and certify best practice. These ratings credentials will demonstrate that one can create better water and sewerage infrastructure for communities and cities in Australia. There are also opportunities to export these skills. Sustainability ratings tools will be vital if Australians are to realise the opportunities from the current scale and pace of urbanisation in Asia. The Australian Government’s recently-released ‘Australia in the Asian Century’ white paper points to the fact that Asia will soon be home to the majority of the world’s middle class, all of whom need water and sewage networks, treatment infrastructure and utilities. In the wake of recent natural disasters like Hurricane Sandy and the Queensland floods, major infrastructure programmes are planned or are underway in several countries. The Great Stink in the summer of 1858, the city of London (an overwhelming stench from the River Thames, that shut down Parliament) led to the construction of sewer in London. Infrastructure investment decisions have long-term consequences, as the assets can shape development for decades – often beyond their lifetime. So decisions on infrastructure should anticipate the long-term environment, needs and constraints under which it will function. However, our ability to predict the future has been shown to be limited. Climate change is introducing deep uncertainty that makes this even more difficult. The environmental conditions under which infrastructure performs are likely to change radically and its design needs to take this into account. Sustainability thinking is crucial for making clear the connections between the infrastructure project and the local and wider society, economy, environment and businesses. It is also vital to spotting where these connections could cause serious vulnerabilities that put the entire system at risk. Ensuring that these connections are elastic, adaptable and resilient will benefit society, the economy and the environment. Rating tools not only provide a way to determine an infrastructure asset's sustainability, they also enable comparison of the sustainability of different assets, or of different design solutions for a single asset. While the principal use for these tools is to determine the asset's rating, they can also be used – informally – in 'design' mode. Using ratings tools to understand resilience is an important area for the development of infrastructure sustainability tools. Significant progress will be made in this direction over the next years, as ratings organisations and universities (University of Leeds Institute for Resilient Infrastructure for example) develop the means to measure water and sewerage infrastructure resilience. How can Australians lead by example to ensure affordable, secure, sustainable water and sewerage services in our own communities and developing communities? On Tuesday 5th March 2013 from 12 noon until 2pm ASBG are organising a policy reference group for ASBG members to discuss the discussion paper, hosted by Aurecon. The Department of Energy and Water Supply has launched a discussion paper to guide the development of a 30 Year Water Sector Strategy to ensure affordable, secure, sustainable and high quality water and sewerage services across Queensland. Submissions close Friday 29 March 2013. 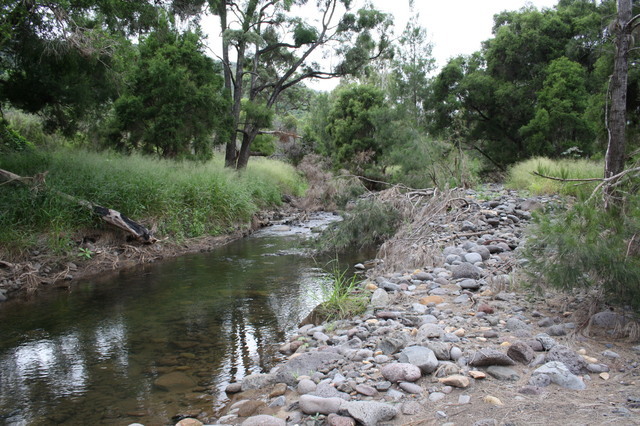 The Queensland Water Sector Discussion Paper is designed to facilitate active discussion and participation in creating a new path for Queensland’s water future in urban, rural, regional and remote communities.